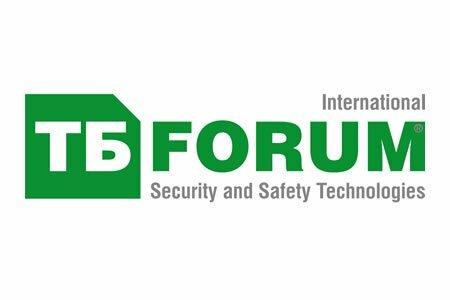 TB Forum powered by Intersec – exhibition of technologies for large-scale projects. Visitors and delegates work with serious threats and risks, build their security system based on the fight against organized attacks and are well trained and equipped with the attackers and groups. According to the survey, 19% of the audience have annual budgets of more than $1,5 million, and 81% – are planning to increase the budgets for purchases in 2016-2017 compared to last year or keep on the same level. Including: Rosatom, Transneft, RusHydro, MMC Norilsk Nickel, FGBU Moscow Canal, Gazprom, Aeroexpress, Sheremetyevo International Airport, The Moscow Mint of Goznak, Rosneft, X5 Retail Group, Salym Petroleum Development, Mosinzhproekt, JSC Atomenergoproekt, Bank of Moscow, Sberbank of Russia, Bashneft, LUKOIL and others. TB Forum exhibitors benefit from and enjoy a number of brand awareness and lead generation support. Being focused on business output (such as amounts of business contacts, leads, visitor satisfaction rates) and moderating the dialogue between vendors and buyers, we create real value for exhibitors and sponsors. Each exhibitor is offered media packages, lead generation, visitor navigation, content delivery and marketing services. Led by high-profile speakers and supported by Federation Council Committee on Defense and Security, Moscow Government, Ministry of Transport, Anti-Terrorist Centre of CIS, Association of Russian Banks and other associations, consumers and regulators – the TB Forum conferences are an ideal platform to discuss and analyse new developments, trends, legislation changes within the national security industry.